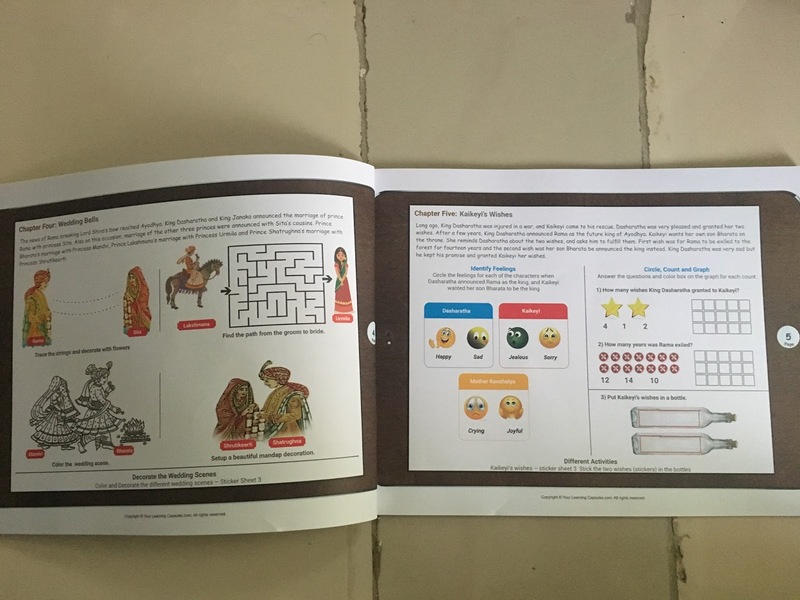 Couple of days back, received one-of-a-kind kid's activity book in the mail, right in time for Diwali. It's called iDiwali and is by Vitamin Simple Unbox - Your Learning Capsules by Kajal Dharod. 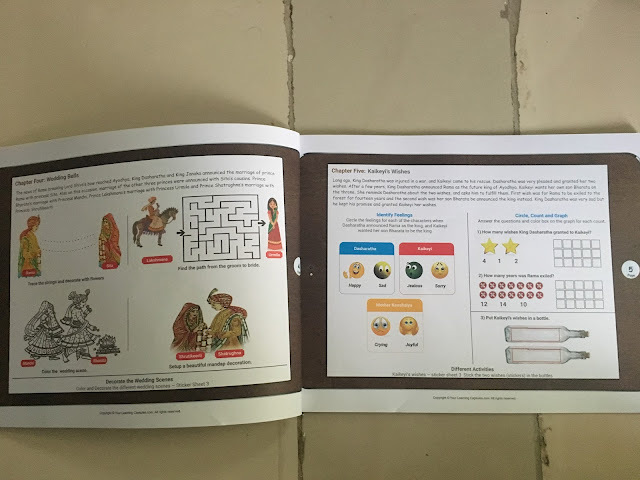 They're just newly into making activity books for kids aged 3-9, with the aim of educating kids and keeping them busy without the use of gadgets. The cover design is smartly shaped like a smartphone/tab, probably to make the kids interested in opening the book. There are a series of activities ranging from stickers, colouring, etc in the order of Lord Ram's story. We all generally celebrate Diwali by eating sweets, bursting crackers, wearing new clothes and visiting relatives. 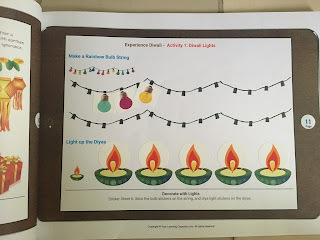 But hardly do we ourselves remember and teach our kids the real essence of Diwali and story behind the festival of lights. 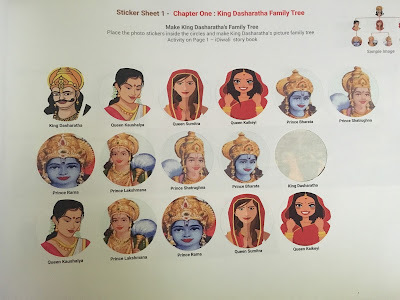 In-fact this activity book goes beyond telling just the story of Raavan's defeat and Lord Ram's winning, it starts from the very beginning when King Dashrath had 4 sons and goes on till Diwali celebration. What I really loved about the book is that it is simple, engaging and a really great way to teach kids about our mythology. Imagine if this is how we could teach them history or geometry, they will actually enjoy learning. The book captures the essence of Diwali really well, and is a great gift to your kids, niece/nephew etc. Specially in Mumbai the weather is so gloomy, it's raining and the kiddo is hence grounded at home - atleast he can enjoy the book! I also appreciate the small details like how there are extra stickers for every activity since kids could always make mistakes - so there won't be disappointments. There are also extra activities like greeting cards, lantern, bow and arrow - which are great for some parent-kiddo bonding time! You can purchase the book online, it's available at Rs.299 only! I am really glad that this is created by another mom, and a very much 'Made In India' product. 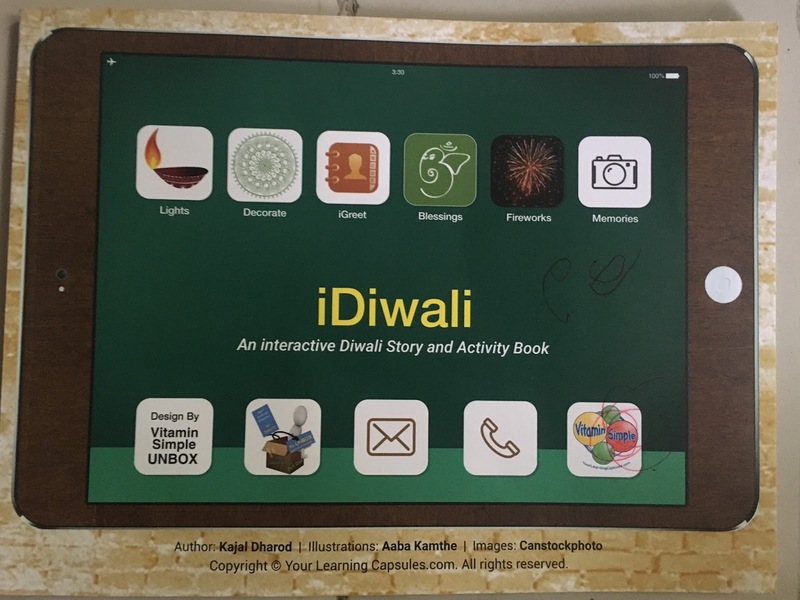 This Diwali, gift your 3-9 year old kids an enriching Diwali story experience with this new concept of an interactive story book. 10 chapters - Diwali interactive hands on story telling and eight Diwali experience activities - all packaged into one engaging book. PAYTM Rs 299 and your full name + contact number to 9819903276 and order today !